Innovation and Digital Transformation Consulting - with a twist! Innovation and Digital Transformation Consulting – with a twist! We solve complex digital transformation challenges for corporations and governments, helping our clients embrace digital innovation and emerging technologies for national and global strategic advantage. Through our digital transformation consulting engagements we deliver challenging outcomes for specialist clients in demanding, mission critical environments. We believe that innovative technology is the powerhouse of business and social change. We are excited to work with governments, policy makers, business leaders and fellow visionaries in creating the new digital economy. 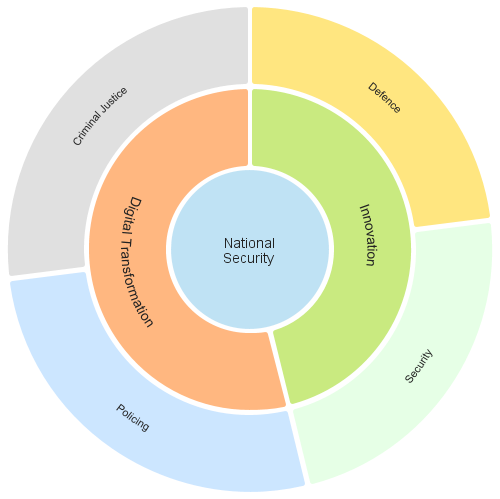 We are passionate about containing and eliminating threats to corporate and national security. We comprehensively research digital innovation and digital transformation trends, in sectors including Defence, Security, Policing and Criminal Justice. We believe that digital transformation can deliver exceptional outcomes that mitigate risks to national security, help protect citizens and ensure economic prosperity and social harmony. Nimmons Consulting: Innovation and Digital Transformation with a twist. We focus on understanding contemporary risks to national security including terrorism, online extremism and radicalisation, cyber attacks, human trafficking and modern slavery and organised crime. Our expertise in emerging technologies such as Artificial Intelligence, Digital Ledger Technologies and the Internet of Things, combined with complex problem solving and innovation skills make us a truly differentiated thought leader in digital strategy and digital transformation. Are you ‘Twisted like Us’? We believe that IT stands for Innovation and Transformation. If you believe the same, then please get in touch and let us know how we can best serve your needs. For in-depth discussions and briefings on key national security challenges, please visit our page SINS Articles – Strategy, Innovation and National Security for insightful and thought provoking articles. We work with clients to develop digital innovation strategies, workshop and ‘red team’ complex problem solving, design and develop prototype solutions and build innovation ecosystems and secure innovation supply chains.